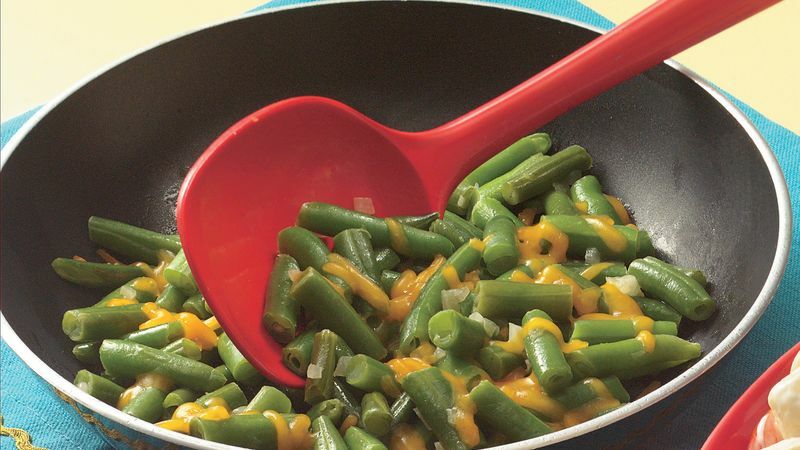 In 2-quart saucepan or 10-inch skillet, melt butter over medium heat. Add onion and garlic; cook, stirring frequently, until onion begins to brown. Remove from saucepan; cover to keep warm. In same saucepan or skillet, cook beans as directed on bag; drain. Stir in onion mixture; cook until thoroughly heated. Add cheese; toss gently to mix.